Daily grooming will no longer feel like a chore with this ultra-glam duo on hand. 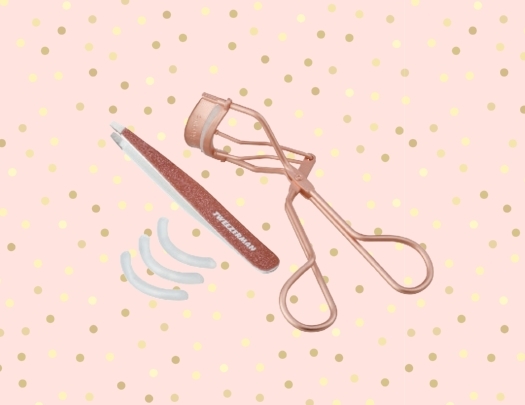 The set includes Tweezerman’s award-winning slanted stainless steel tweezers with a rose-gold glitter finish and a classic matching eyelash curler with a comfortable, hypoallergenic silicone pad. Tweezerman Glam Up Gift Set, $47, at Tweezerman.ca.